The team will send you more information on application details. Fret not - Application for A Good Pitch is only a 2-pager proposal! What is A Good Pitch (Corporate Edition)? In collaboration with Company of Good, A Good Pitch is returning with a special twist! We are looking to support working professionals who have a burning desire to bring about positive social change through innovative, ground up projects that expand perspectives and/or bring about greater social inclusion while involving their companies to do good together. Most importantly, we want to fund something that’s personally meaningful to you and your company! ● A board game creatively designed to help your colleagues explore the lifestyle of migrant workers employed in the construction industry. ● A public campaign to raise awareness about the challenges of single mothers, followed by a sharing of those findings through the use of theatre for the community. ● A project involving your colleagues to rescue fresh produce from shopkeepers in Little India and deliver them to a soup kitchen serving low-income families. ● Project engages the company you work with. What are some Key Dates? ● 25 November 2018 (2359hrs): Applications close for review. Application received after deadline will not be accepted. ● 14 December 2018: Applicants will be notified by this date. Shortlisted applicants are invited to pitch to a panel of 5, including the organising team and members of the National Volunteer and Philanthropy Centre (NVPC). Nothing formal, just a casual session to hear your story in person and how we can better support you! ● 4 January 2019: We'll connect you with seasoned changemakers or professionals in the space who care about similar social issues. They will share their resources and experience which can guide you in your pitch. ● 2nd February 2019: We’ll have an exhibition to showcase all ideas (shortlisted or not) and invite volunteers & funders who can support your projects further. The shortlisted applicants will also do their pitch on this day and we’ll announce the 5 winners on the spot! Results will be shared via email. Unfortunately, we would not be able to respond to individual inquiries about application status. Rest assured that we will go through and consider each application carefully. 1. Do I receive more support beyond $1,000? Yes! $1,000 is meant to be a small amount to get you started. 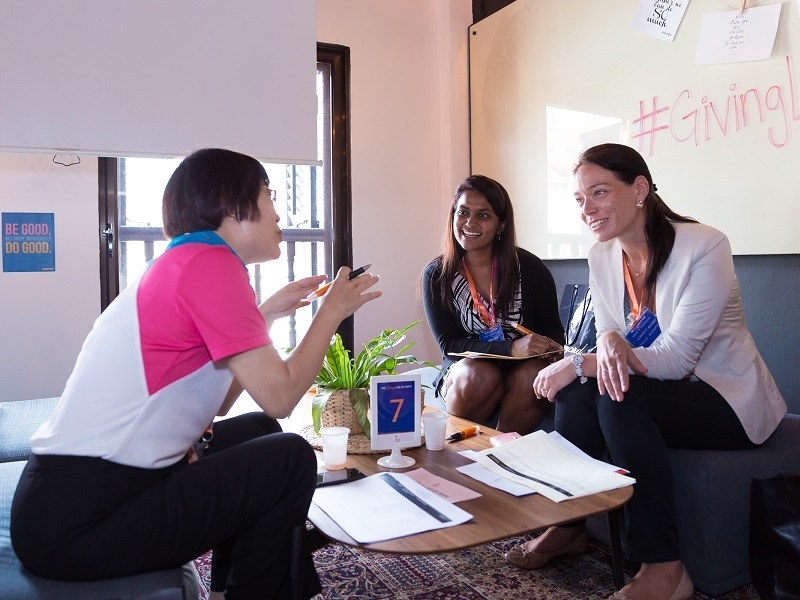 Beyond that, you have exclusive access to a community of like-minded changemakers at both A Good Space and Company of Good, which will support you in your initiative to do more good! Yes: any age, nationality, industry, job title, philosophy, or stage of life. Although we ask that your company is a Singapore registered business (see prioritisation above). 3. How will I receive the funding? We’ll give you 50% up front and then check in with you before sending the second half. After the project, we’ll do a quick follow-up phone call or meetup over coffee to hear how it went and that’s it! We can send money either through bank transfer (you’ll need a bank account) or via check. 4. How many projects can you apply with? As we are a small team of 2, we can only accept 1 proposal at this time so choose your best idea or the one you feel the most strongly about! 5. You have another question that’s not listed here. 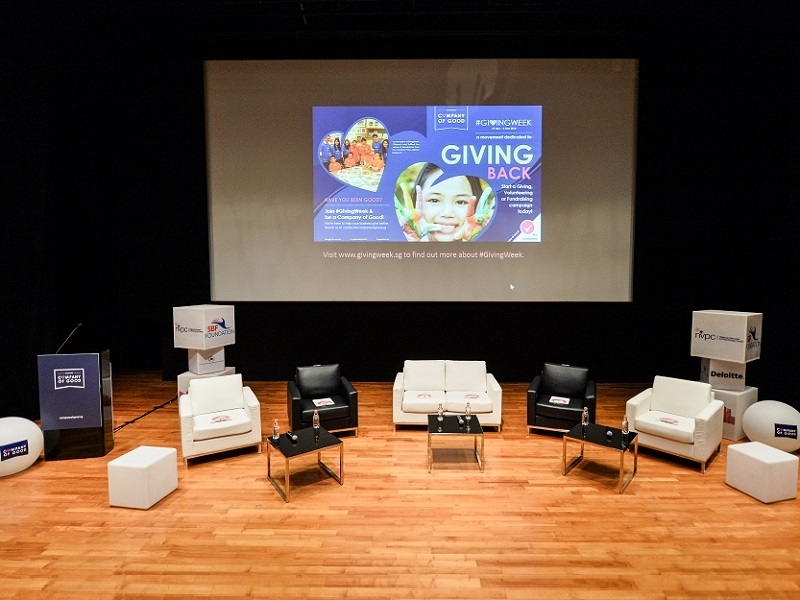 A Good Space was started together with Melissa Kwee, CEO of NVPC to bring changemakers who care about the community, and empower the public to learn about diverse social issues in Singapore through immersive experiences. This care, I have come to realise, is the fuel for innovation and action. And I believe that every professionals out there care deeply too about something in your community/ society and want to do something about it. Last year, we wrote an article on the Internet, wanting to give away 5 x $1,000 (no strings attached) grants to 5 changemakers with a burning desire to start projects with a positive social impact. We received 43 applications from people of all walks of life, with the youngest applicant being just 17 years old and the oldest being a pair of 77 year old grandfathers! 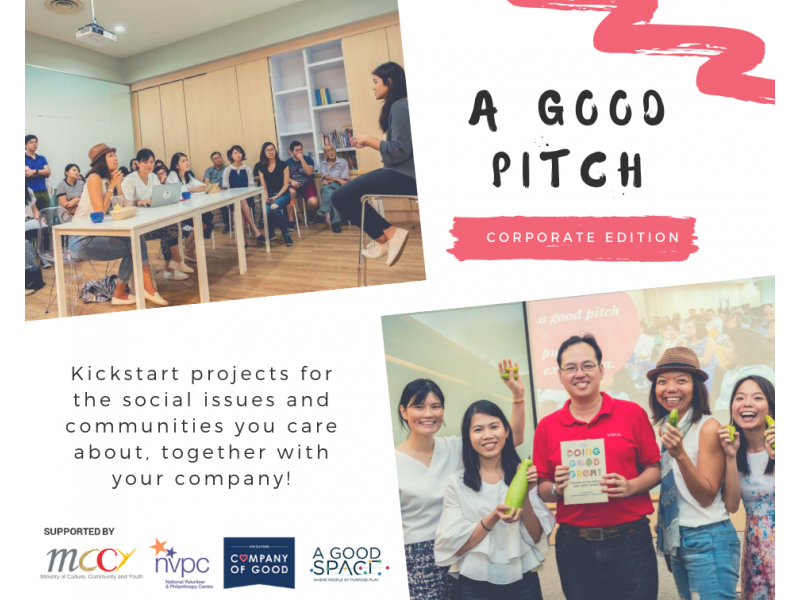 This year, we want to do it again, with a special twist – A Good Pitch (Corporate Edition) will give away $1,000 plus a network of resources for working professionals to kickstart projects for the social issues and communities they care about together with their companies! 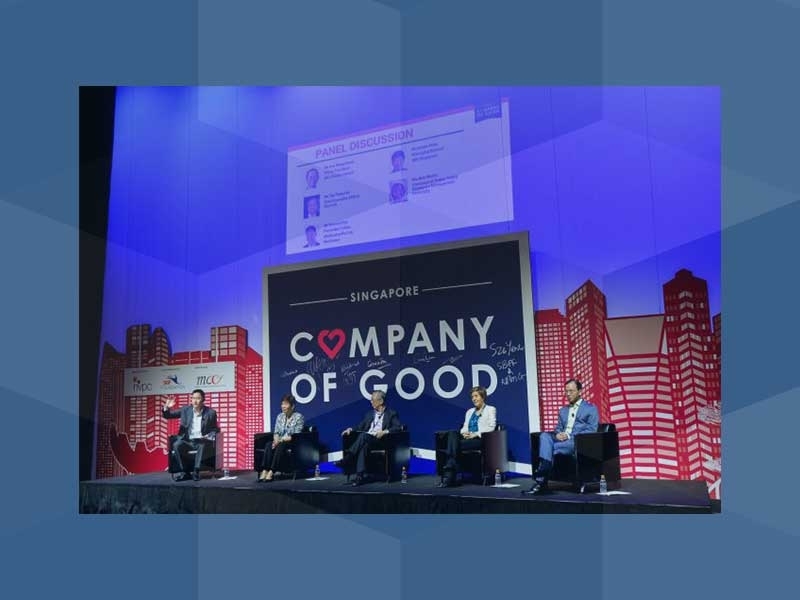 Company of Good Network Dialogue - Corporate Giving and Millennial: Why should companies care?